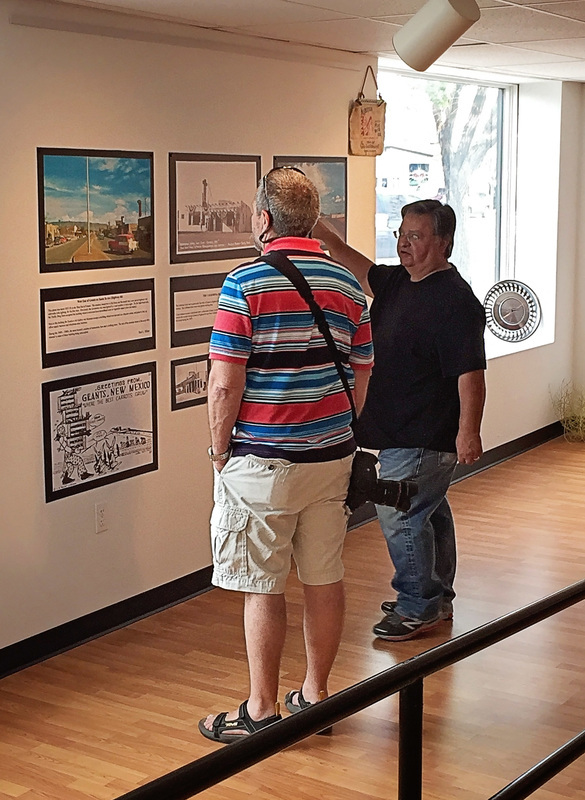 Tuesday through Saturday, 1 p.m. to 5 p.m.
Robert Gallegos (far right), executive director of the Double Six Gallery, said this idea came to him rather unexpectedly, as most good ideas do. "It was around 3 in the morning," he says that he woke up with the inspiration. For creatives have learned, when ideas appear in the early hours of the morning on in the midst of a morning shower, simply take them and run. He did just that. 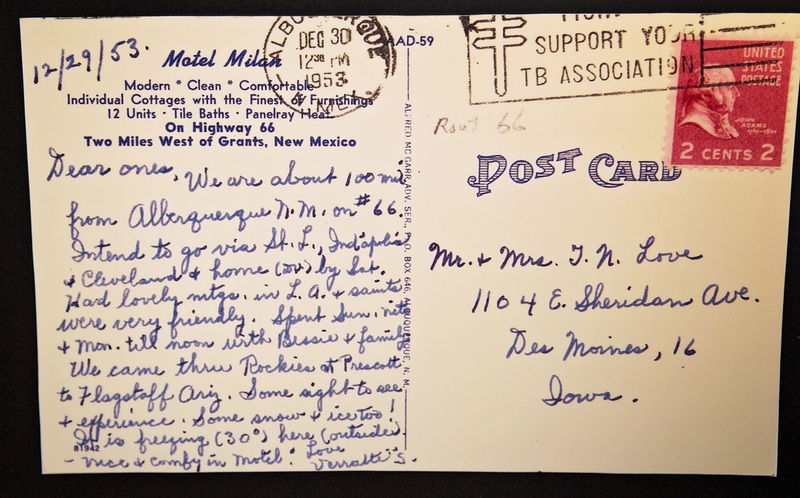 In the local paper, he placed an ad for artifacts, specifically postcards, from travels along Route 66. After a few months, he had only about a handful of cards. Realizing that this would not be enough to make a show, he was resigned to the ending of a great idea. 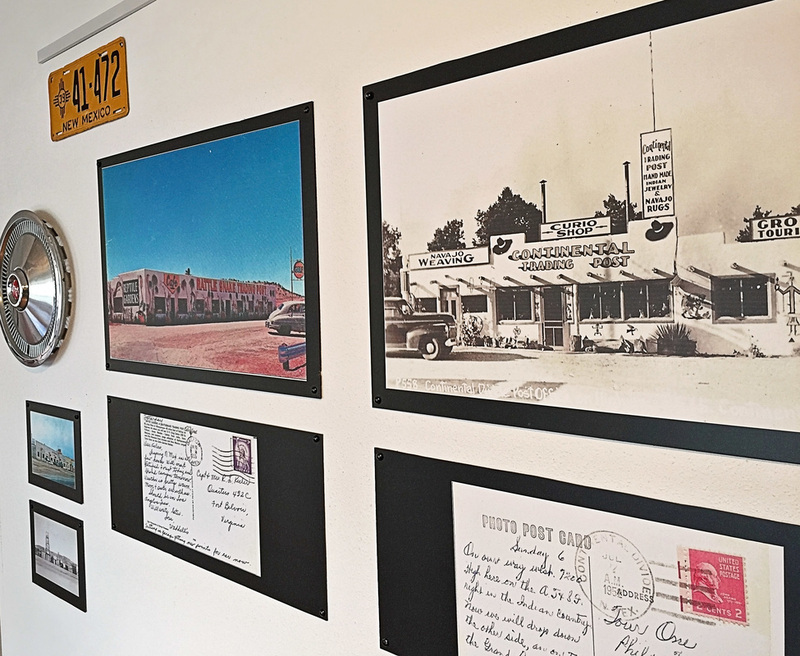 Until, one day, a stranger walked into the gallery and presented him with hundreds of postcards, artifacts, and mementos that he had collected over the years. "They are yours," he told Gallegos. 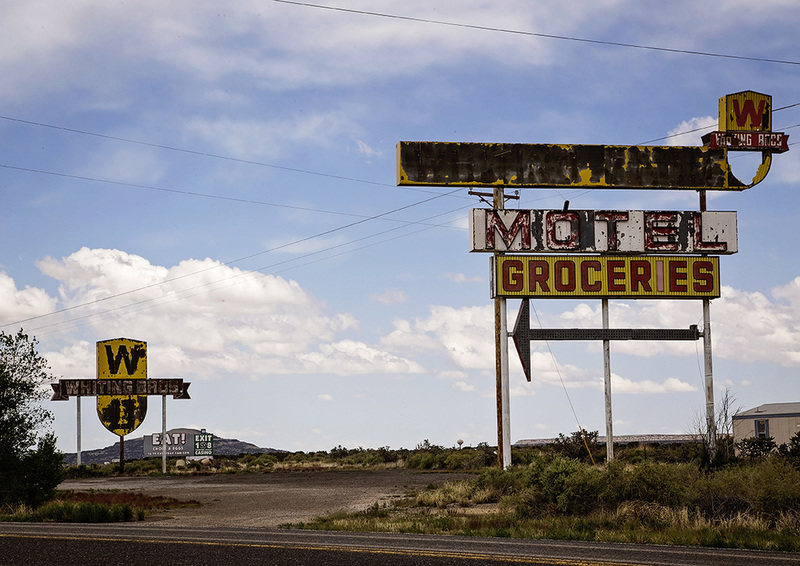 That was the beginning of what hopefully will turn into the permanent exhibit, Postcards from Route 66. 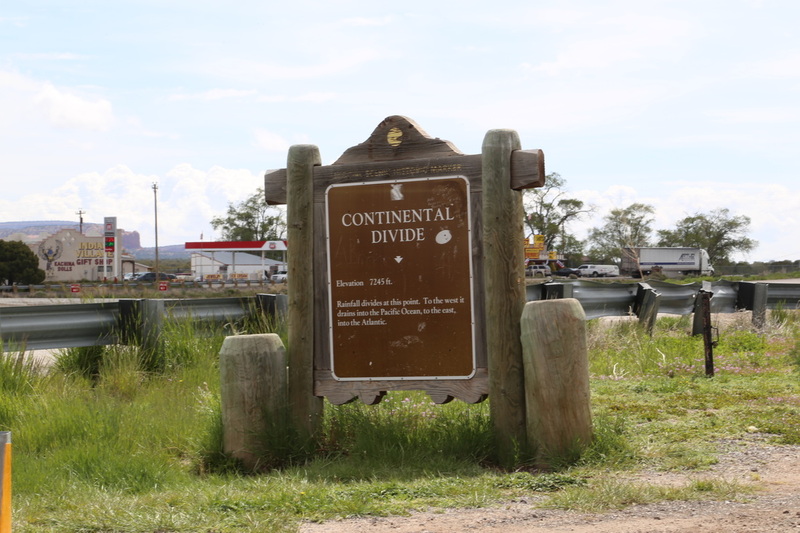 It follows travelers from Continental Divide, New Mexico, to Mesita, New Mexico, a 70 mile stretch of the classic Mother Road. Gallegos's vision is spectacular and presents a history lesson in visual form. 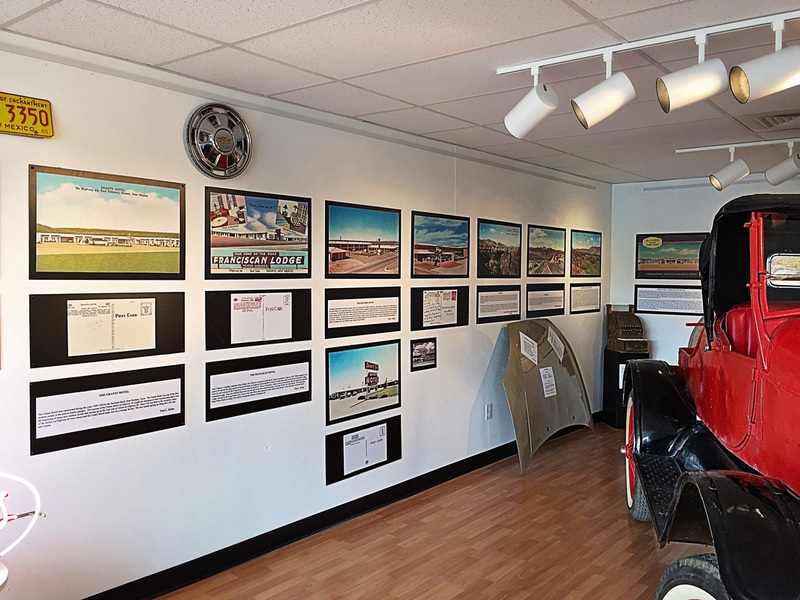 Currently, they have a 1923 Model T accenting the postcards, and he hopes to rotate a classic car every six months. 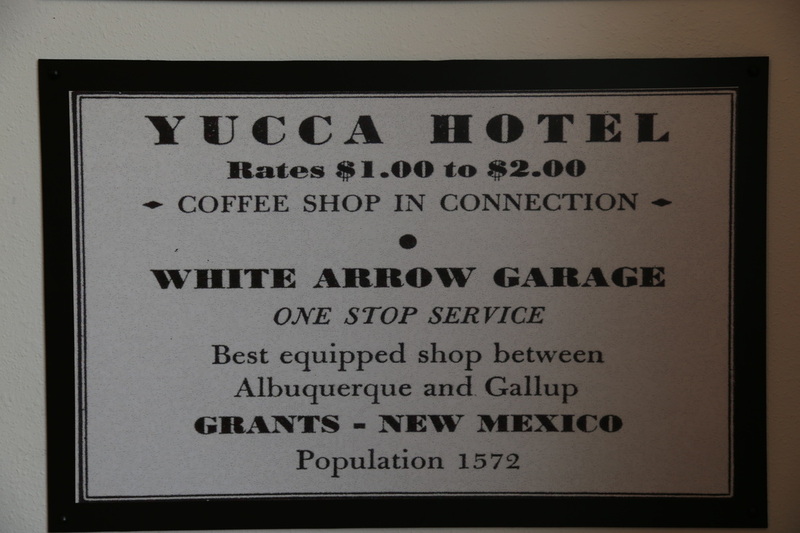 Gallegos can tell you stories of the past while telling you what remains of many of the pristine venues proudly displayed on each card. There are a few remnants, but most are fading with time and memory. 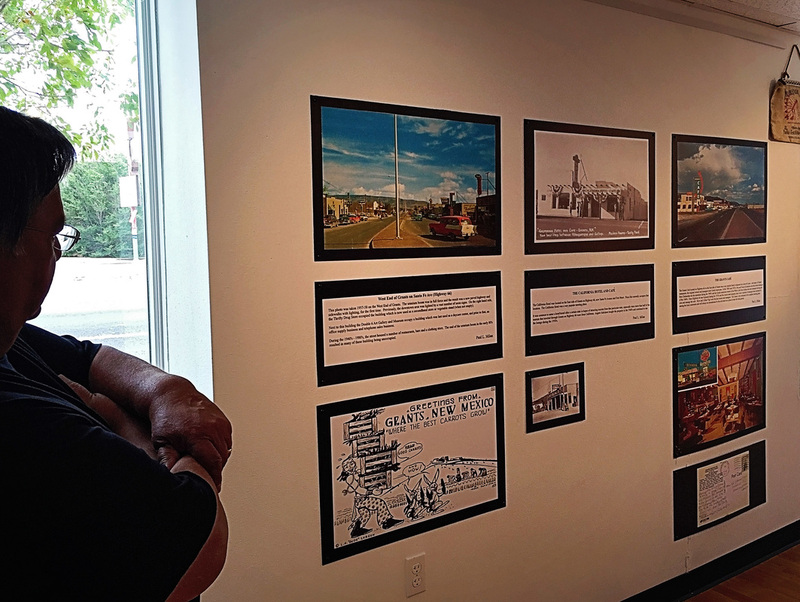 A must-see exhibit of the history of the Mother Road as told by travelers who drove the road during its prime. See you in Grants.